The SV10 nozzles have improved aerodynamic design which mean they have higher efficiency and are able to dry and clean from a greater distance than conventional air knives are capable of. As well as this their fully stainless steel design makes then suitable for all industries including food and beverage drying requirements. 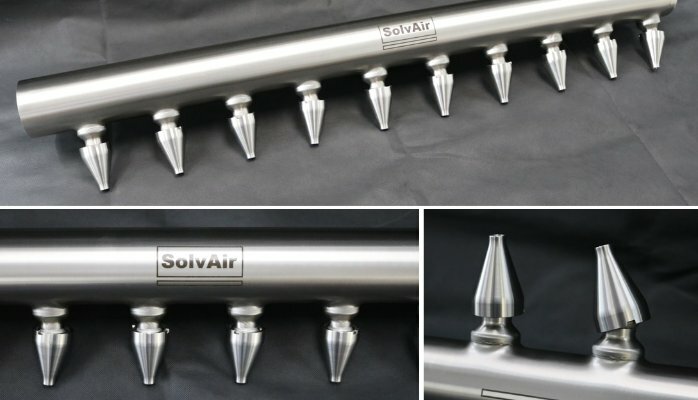 For further details relating to the SV10 nozzles and SolvAir’s extensive range of product drying and cleaning equipment visit our Air Knives page.